When it comes to planning a vacation, it’s important to do as much research as possible before you book. We know, that’s possibly the world’s least groundbreaking travel tip. It’s 2019 and the internet exists. Who doesn’t do research before booking a trip, buying a new coffee pot or making literally any purchase decision? But “doing your research” is easier said than done when it comes to travel. You’re not buying a new kitchen appliance. You’re buying an experience. One that you want to know is legitimate, safe, and fun before you throw down your credit card. Now consider the added complexities of volunteer vacations (aka ecotourism) and curated group travel, and it can be difficult to know where to start. 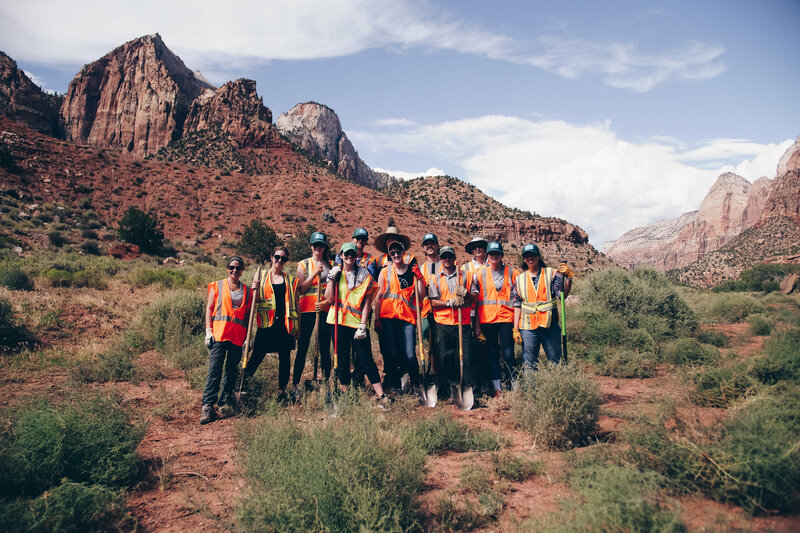 Have Fun Do Good trail crews help to restore national parks. Adam Kunes. As the founder of an adventure travel company called Have Fun Do Good, I know a thing or two about navigating this still-emerging travel space and can help first-time eco-travelers understand what questions to ask and what red flags to look for. I also know the importance of offering the perfect mix of meaningful volunteer experiences and fun activities, and that unfortunately, very few players in the industry have found this sweet spot. But let’s back up. What is Have Fun Do Good? It started just as you might think: two friends pursuing their passions for travel and volunteering. Following a trip to New York in 2015, my friend Ben and I knew we were on to something. We had spent our weekend volunteering during the day and exploring the city by night. And it was one of the most rewarding and energizing trips I’d ever taken. So we went back, this time with more friends and under the moniker “Have Fun Do Good.” The name was simple, and it perfectly summarized our new company’s mission. After numerous trips to New York City, we expanded our offerings to Costa Rica, Breckenridge, Colorado, and our signature National Park Tour. As you might guess, each trip is a mix of impactful volunteer experiences unique to the local destination, social activities, and opportunities to connect with your fellow travelers in a fun and safe environment. Check us out! Over 40% of our participants sign up for multiple experiences, leading me to believe that if they keep coming back, we must be doing something right. But we’re still growing and learning more with each trip. In fact, we’re launching a 50+ National Park Tour this spring to accommodate an older demographic. We know first-hand that more and more people want to incorporate social giving into their vacations. We also know that these often-savvy travelers don’t know how to—or don’t want to—tackle the logistics of planning this type of trip. So how do you find a company you trust to do it for you? Here are four tips to ensure your volunteer vacation meets the mark. While some element of surprise can add to the excitement of a trip, it's also important that we give our participants clear and realistic expectations. This is especially true when it comes to accommodations, which is understandably one of the most asked about topics. In addition to room photos, we also created an MTV Cribs-style video to show the accommodations in real-time. Funny and functional! We’ve spent countless hours researching travel times, weather considerations, and the best hikes, and we want to share that information with our audience. If a tour organizer can’t tell you specifics about room assignments, meals, or transportation, be wary! A happy customer on "assignment" in Costa Rica. Adam Kunes. Participant reviews are crucial when researching a travel company. We understand that a review from your peer provides credibility our “About” page simply cannot, so we welcome feedback from our participants and actively share it across our channels. We’ve even put an on-the-fence participant in touch with a trip alum to answer specific concerns before she booked a trip. Having a hard time getting answers before you board the plane (we see you Fyre Festival)? Not a good sign. Unfortunately, our little niche of the travel industry is susceptible to scams from people trying to take advantage of others' goodwill. Before you book, send a few emails, or better yet, pick up the phone. See if a real live human responds. If you get a generic response or worst of all, a response telling you to provide payment before answering your questions, stop! A tour organizer should be ready and willing to talk with a potential traveler. We welcome emails, calls, and DMs. Just as much as you want to make sure this trip will be a good fit for you, we want to make sure you’ll be a good fit for us. 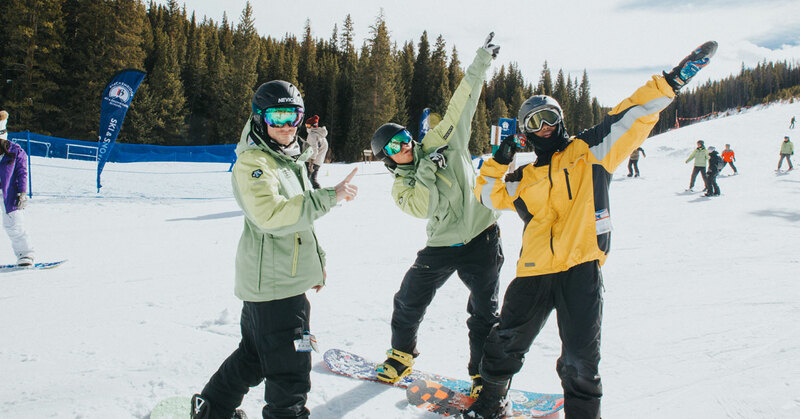 A good ecotouring service, like this trip to Breckenridge with Have Fun Do Good, should leave plenty of time for fun and show it off, too. Adam Kunes. Have Fun Do Good has invested heavily in content creation from day one as we knew it would be crucial for selling our experiences. Seeing real images and real people is important. We work with videographers and photographers on each trip to capture great imagery that we can share not only with the participants on the trip but with our audiences following along from the comfort of their couches. In addition to trip content, we started a podcast (season 2 coming soon) and have used various other channels to distribute content. Be on the lookout for dated photos, stock imagery of the destination only, and outlandish videos. When it comes to picking an experience, you have a ton of options. Our best advice is to seek out a company that speaks to things that you’re passionate about. Travel is all about stepping out of your comfort zone. Do your research, make an informed decision, and take the leap.